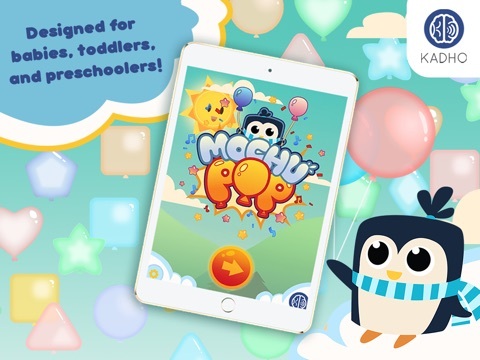 Download Mochu Pop - Language Immersion for Babies and Toddlers free via AppsHawk. 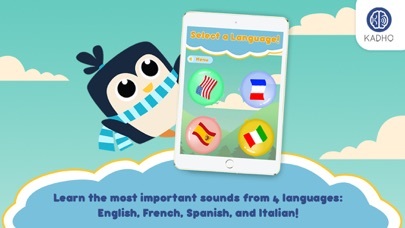 *** Have fun popping balloons while hearing the most important sounds of English, French, Spanish, and Italian speaking countries ALL IN ONE GAME. 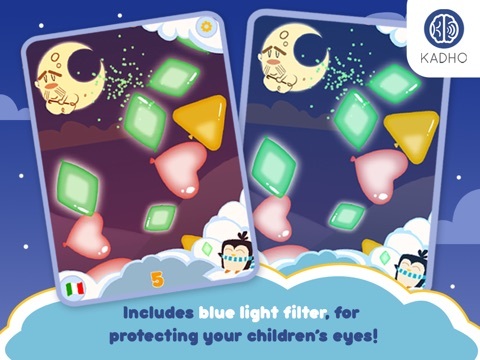 Playing Kadhoâ€™s games preserves a childâ€™s remarkable ability to hear the sounds from all the worldâ€™s languages. Your child will be exposed to the most important sounds for learning English, Spanish, French and Italian. This is the foundation for a better language learning experience throughout their lives! â€¢ Fun for both adults and children--play with your child, or let them play by themselves. Feel good in knowing that your child is using content that is actually beneficial for them. WORKING MEMORY: Strengthen your childâ€™s memory as they try to remember which balloons to pop. 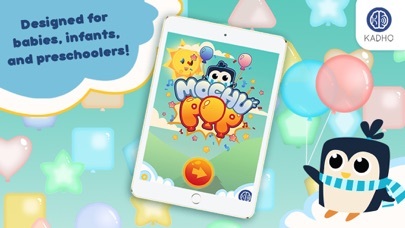 HAND-EYE COORDINATION: Use your visual and motor planning, plus processing abilities as you try to pop moving balloons. 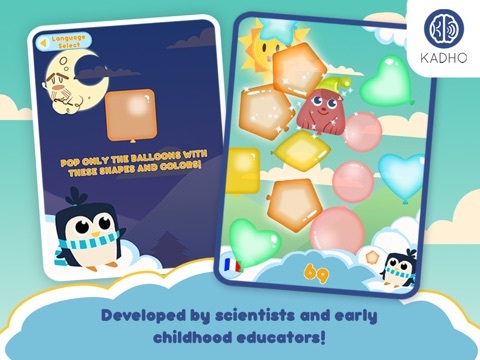 MENTAL FLEXIBILITY: Flex their brainâ€™s mental switching and creativity as the target balloons change between each game. 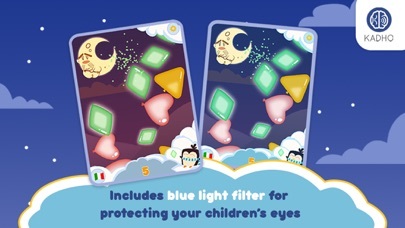 Kadho games are equipped with Blue-Light Filtering Technology that allows you to filter out the detrimental blue light from electronic devices. Kadhoâ€™s games and ebooks mimic living in English, French, Spanish, and Italian speaking countries. 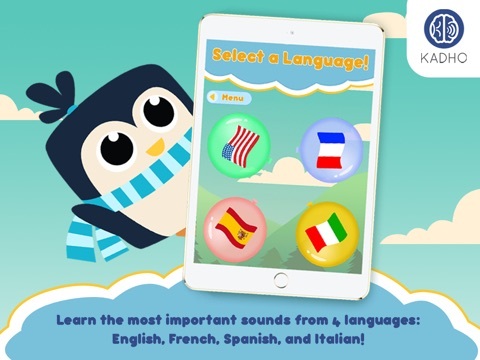 Our apps expose children to the worldâ€™s most important sounds identified and selected by scientists, linguists, and child development experts for learning the worldâ€™s languages. These are the fundamental â€œforeign soundsâ€ that make up languages. These sounds are presented in a custom manner that exposes a child to these sounds in a natural manner they can learn. 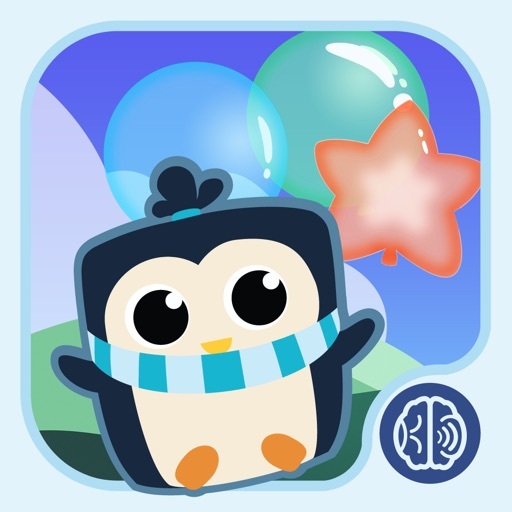 The goals of these games are to develop not only a childâ€™s language abilities but their entire Neurofoundationâ„¢. 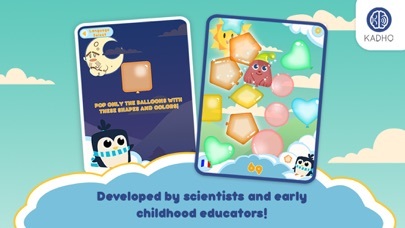 Founded by two PhDs, and being backed by a strong network of early childhood educators, linguists, neuroscientists and child psychologists, Kadho is utilizing the last 50 years of brain science to develop games and eBook to maintain and enhance the innate language abilities that children are born with. Over 50 years of science has shown the most critical phases of early childhood education actually begin at birth till age three. This time is a window of opportunity for the proper formation of Neurofoundationâ„¢ for the brains core connections needed for basic sensory, social and emotional processing and understanding. Kadho aims to lead the advancement of child development research and improve childrenâ€™s lives everywhere. Kadhoâ€™s goals are to support, enhance and supplement traditional child raising so that, no matter what a childâ€™s economic or social circumstance might be, he can reach his full language potential.